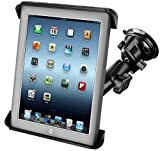 RAM-B-166-TAB3U: RAM Suction Cup Twist.. 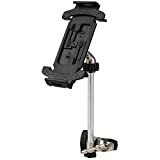 Stick Anywhere Multi Surface Mount for..
Satechi R1 Arm Hinge Holder Stand for ..
Aidata ISP203WG Spin Station Multifunc..
Belkin Fridge Mount for iPad 2 3rd Gen..
Naztech 11520 Universal Tablet Stand f..
Chargercity Exclusive Flexible 18.5 Al..
PaddSun Adjustable Foldable Tripod Des..
SNDIA (3 Pack) OK Stand for Smartphone..
talent uclaw ums-1 mic or Music Stand ..
Luzon Dzire Heavy Duty (Weight Capacit..
Coavas Laptop Desk Medical Adjustable ..
SNDIA OK Stand For SmartPhones And Tab..
Fintie Tablet Cell Phone Stand, Univer..
Tablet stand is an essential accessory for all those who own tablets because they safely hold your tablet in one place and protect it from damage. 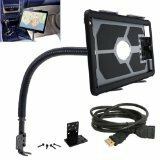 You can also find tablet holder for car that can be fixed on your car's windshield so that you can have it close by even when you are driving. Perhaps the most important benefit of the tablet mount is its ability to adjust for holding a tablet at several possible angles. This feature allows the user to set up a book or tablet at the most convenient angle for the most comfortable reading or viewing. It is in fact, one of the key tablet accessories online India that your much-loved gadget needs. 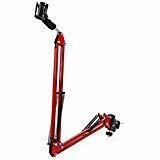 Buying tablet stand online is now just a few clicks away! What's more, with the use of promo codes and discount vouchers, you can grab some lucrative tablet stand offers! 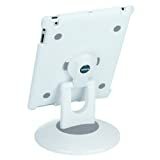 A major benefit of using tablet wall mount is its ability to firmly and securely accommodate tablets, iPads, and eReaders while protecting these devices from accidental damage such as a cracked screen due to a sudden drop or fall by securing the device to the stand and thereby holding it steady and stable. 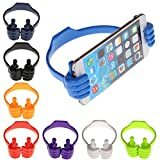 Even with a cheap tablet stand, you can enjoy hands free use with your iPad, Android, Samsung, Galaxy, Nexus, or Note devices. The tablet stands for sale also do not interfere with the buttons, controls or charging plugs. Plus, while using the stand, a tablet can easily be switched back and forth between landscape and portrait orientation. 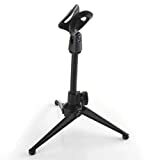 You can easily take a look at tablet stand price across the top online retailers. You can also take a look at car accessories online to make it convenient and safe to be carried while on the move. 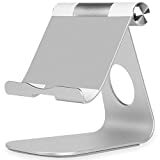 With the use of the best tablet stand while reading in bed, sitting, standing or working at the office, you can relieves the stress on your neck and wrists that is caused from looking down and holding your device. 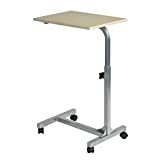 Moreover, you can also swing your tablet holder to eye level and enjoy hands-free reading or browsing, so you can work or play more efficiently. Buying these through CashKaro will make you a smart shopper, for you can save as you spend, in the form of cashback! 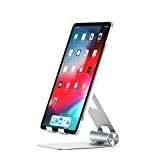 The stand can be set up in seconds at any location, allowing you to read, watch videos, play games or show off pictures at the poolside, at the beach, in the park, or on an airplane. With the tablet price in India having fallen considerably in recent times, nowadays one can easily afford one. No wonder, tablet stands too have consequently risen in popularity due to the multiple benefits they promise.